The vegetation and morphology of this place is visible from the windows of our airplane already and it gives us a prime of the nature of the country we are bound to: a young, green, thick country that is all to be discovered. The smile and sincere helpfulness of the employee at the money exchange office inside the airport gives us the official welcome. This openness strongly clashes with the magnificence and seriousness of the sickle-and-hammer that dominate the imposing arch across the road that links the airport and the city. One could think it is a fortuity, that we have just been lucky to have found someone so open and helpful towards others although we are in a system so closed as the communist one traditionally should be, but this is not the case. As I will have the chance to see in the following days, this was just the first of the contrasts, inconsistencies, discrepancies this country is made of. This is a thick country, as its traffic jam mainly made of motorcycles that moves like swarms of wasps. It is not very clear the rule that enables to avoid accidents or just to cross the street, at first sight it seems incomprehensible, but I will understand it more and more as i go walking through the streets of the cities of this place. This traffic jam confuses you, much more of the place can be perceived from the (ugly) new buildings that are growing fast everywhere. I can start putting together the first pieces: it is a young country, with a low average age, fast and in a fast development. Hence, those sickles-and-hammers that in the West are summon a divided world, a world unable to communicate, here they assume another dimension, totally new. What is left of this sickle-and-hammer? 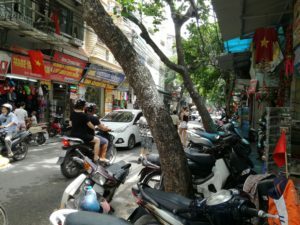 Vietnam seems not to care too much about, at least those who rule the country. 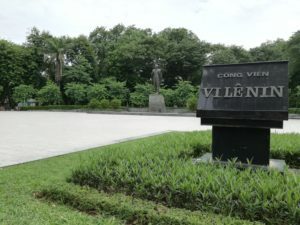 At his time, Ho Chi Minh exploited the great impact and strength that Socialism was having for getting the best out of it aiming it to the cause of Vietnamese Independence: similarly, today, with changed situations and always changing, Vietnam changes with them and is providing wide concessions to capitalism. Once at the hostel we just leave baggage in the room and we go back out in the street: we are in the old quarter, where people cook and eat out in the narrow streets between parked motorcycles and other motorcycles running in every centimeter of soil left available. 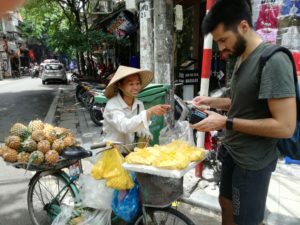 We walk no real destination, blending ourselves with motorcycles (again, everywhere) and fruit street vendors with large cone-shaped hats and basket with exotic fruits pending from the tips of a stick that they hold on their shoulder while they walk around. 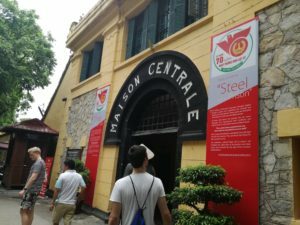 We go for a visit at the maison centrale, the political prison built by French colonial army. The place is really distressing, still it make us smile when it claims to demonstrate the difference of treatment that, instead, Vietnamese army would have reserved to American prisoners. In the picture on the walls it is in fact possible to see American soldiers play chess, poker or billiard while they laugh and smoke cigarettes. The last surprise of the day is offered to us by the Temple of Literature. It is an isle surrounded by modernity, not even its walls and trees can stop the noise of the city around it. 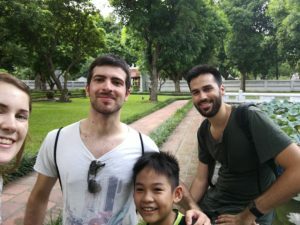 But modernity is not only outside the temple, it is in as well and overcome every concept of past Vietnam, this modernity in this place has a name: Tom, and it is a 12-years-old boy. Tom comes over us, he says his mother brings him here to make him speak with foreigners and practice some English and so this is what he asks us. 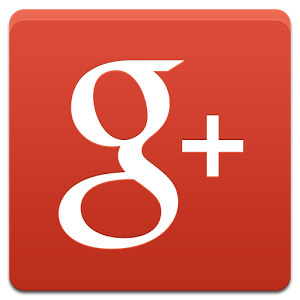 Surprised by the fluency of his English and by the cleverness of his answers, we accept. He proposes himself as tour guide and he takes us to every corner of the temple telling jokes in a perfect English. This thing lets us astonished, not only for his early age, but also because we are in Hanoi, capital city of that communist North Vietnam that fought and won against Americans. Tom has no knowledge of how much amazed I am by his figure that is so much in contrast with his provenance, maybe he does not understand the reasons for that considering how natural is his behaviour.